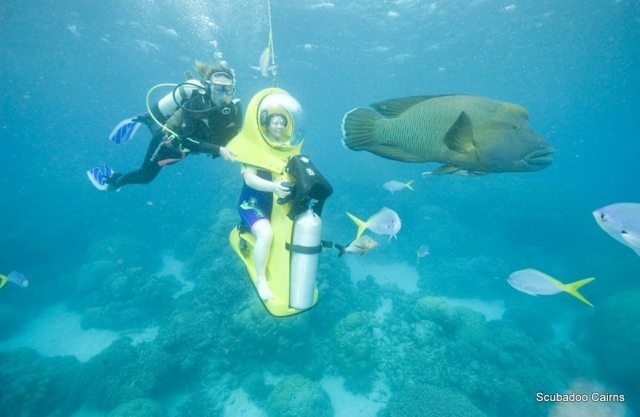 Cruise the reef on your own underwater scooter! 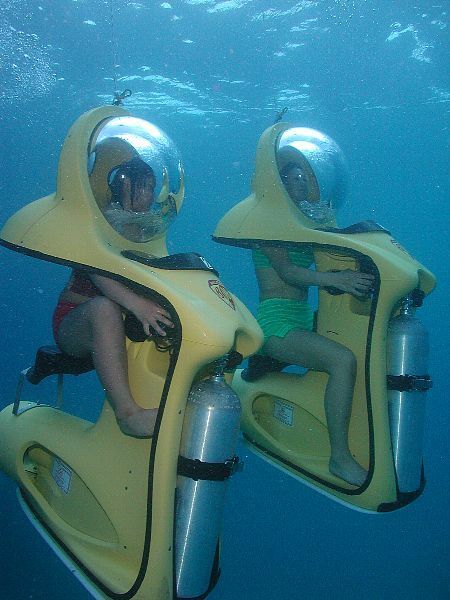 Scuba Doo is easy, fun and safe! 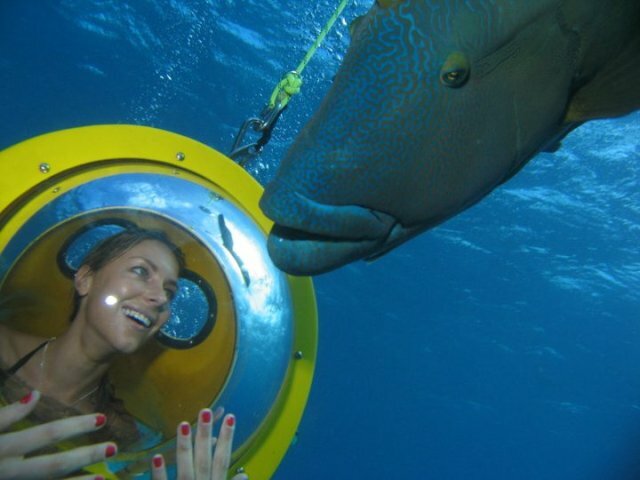 Suitable for non-swimmers, Scuba Doo is an exciting activity to view the Great Barrier Reef. 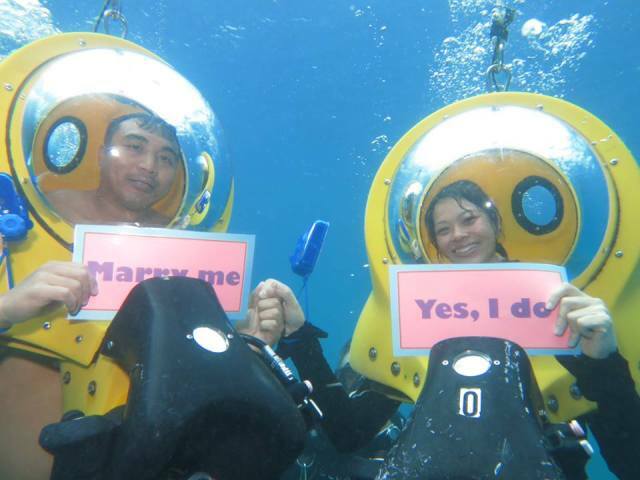 Scuba-Dooing means no mask, no mouthpiece, no heavy weight belt or swimming experience required. Just simply sit and drive! 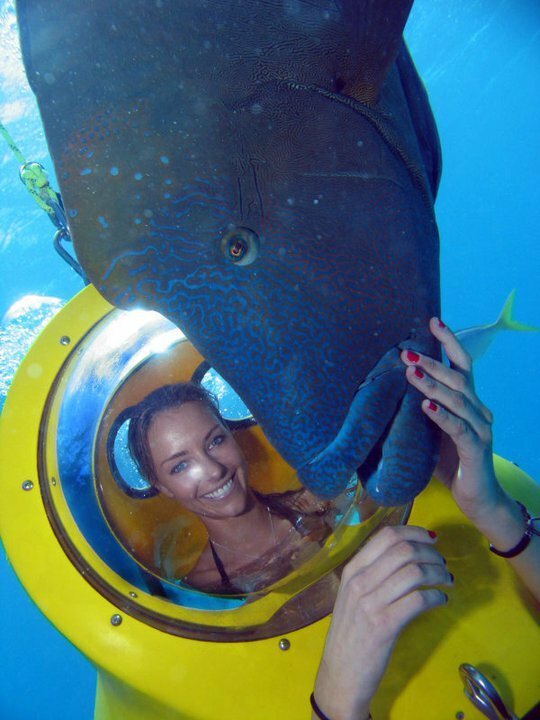 Depart with Great Adventures on the 8:30am or 10:30am departure from Cairns - This is booked separately and is an additional cost to Scuba Doo. 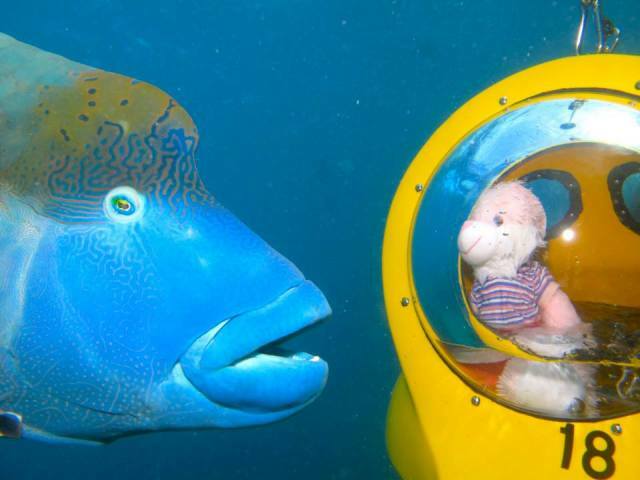 During your cruise to the Outer Barrier Reef the well trained Scuba Doo instructor’s will conduct a short and informative briefing, demonstrating how to operate a Scuba-Doo, hand signals and safety points. Your adventure time will be allocated prior to arriving at the pontoon. 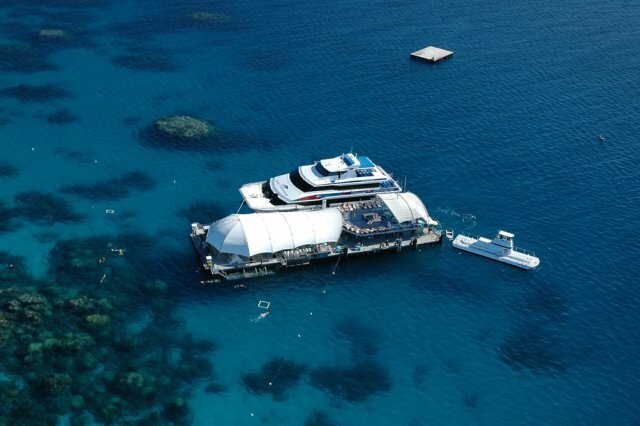 Your adventure tour will begin at a depth of 4 metres, departing from the pontoon you will make your way over to the Coral Reef where you will meet some fascinating marine life. 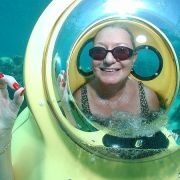 Seated on your Scuba-Doo, your head and shoulders will be inside a 180 degree water free clear dome with air is constantly being replenished from a scuba tank enabling you to breathe normally throughout your tour! 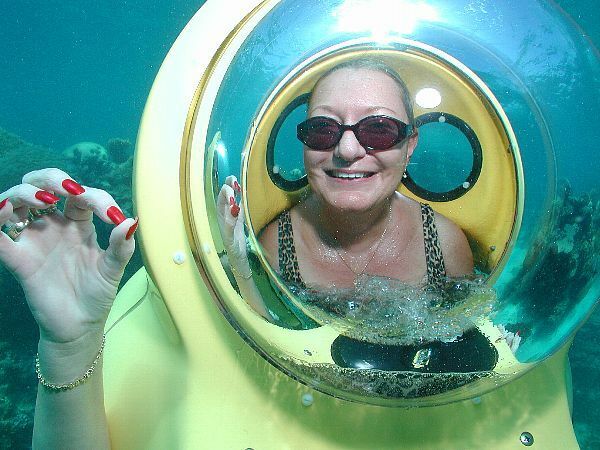 It is possible to wear your contact lenses or glasses with you in the water. 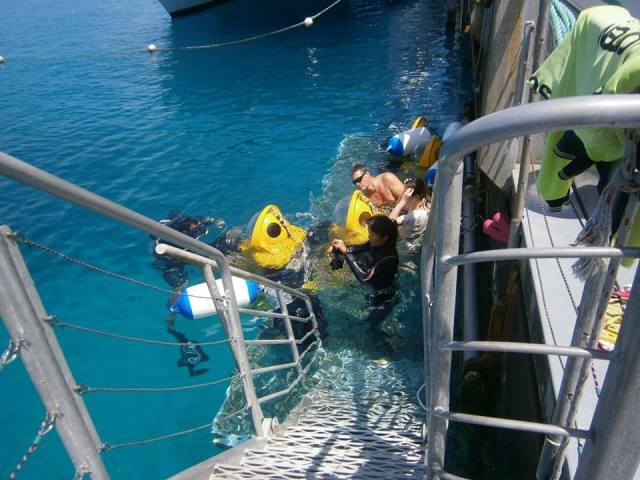 The 20 minute fully guided tour allows you to cruise the Coral Reef at a speed of 2.5 knots without tanks, weights or mask, there is no swimming involved. 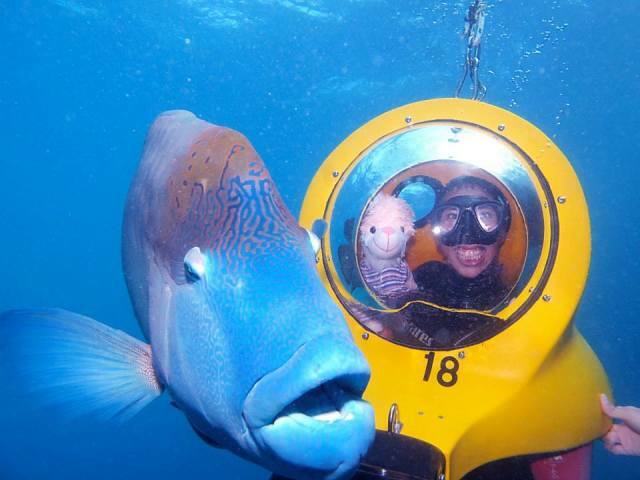 Say hello to Wally our resident Maori Wrasse, have a memorable once in a life time photograph under the Sea, view the amazing Coral Reef structures that make up the Great Barrier Reef that is home to over 1500 different marine fish. 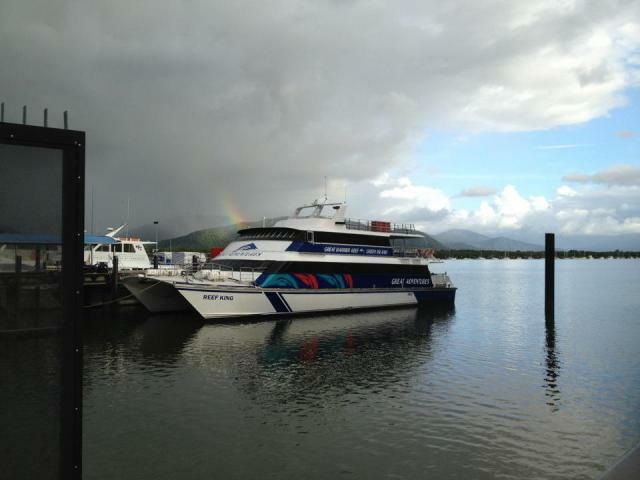 Commence your outer Reef Activities with Great Adventures before departing the Great Barrier Reef Pontoon for your journey back to Cairns. Passengers can view, purchase and collect photos taken throughout the day from the In-depth photo counter on board the boat. 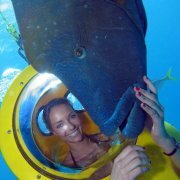 Best experience EVER!! 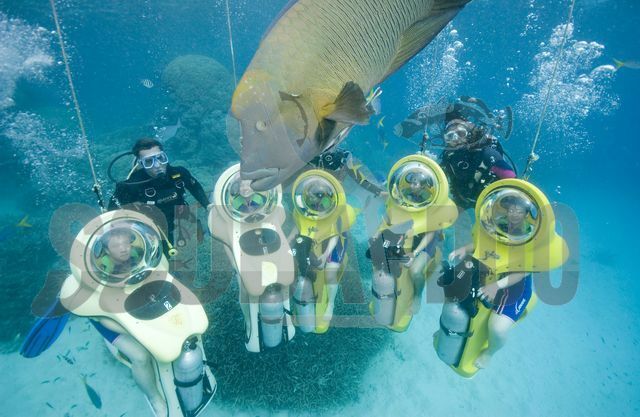 So easy, comfortable and much better than just snorkeling because you can get close to the sea floor where all the action is. 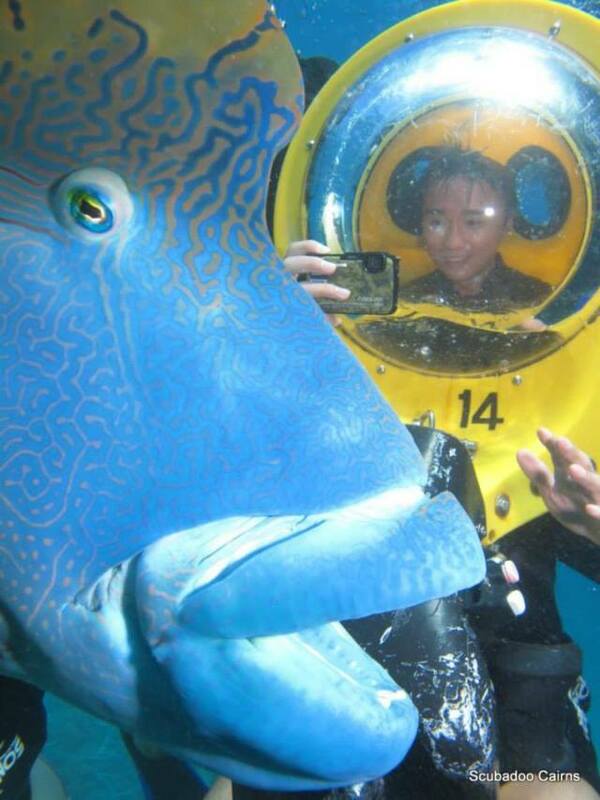 Also got some great pics of Wally the local Maori Wrasse. 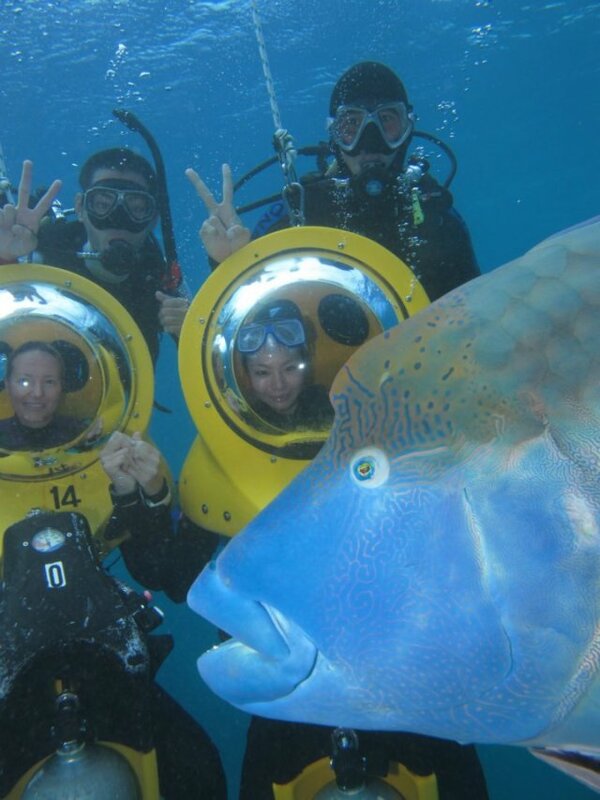 The staff were very friendly, helpful, patient and fun. 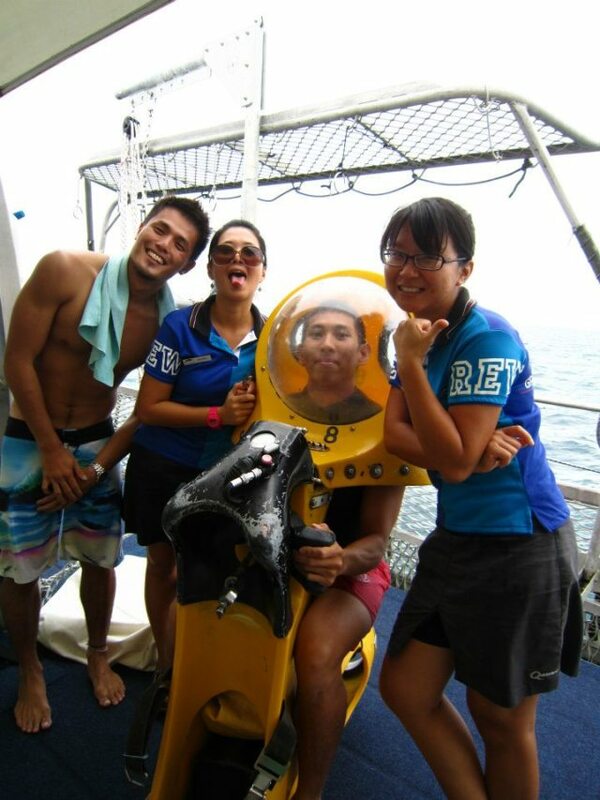 The guide was really good and took great care as we were all non swimmers.